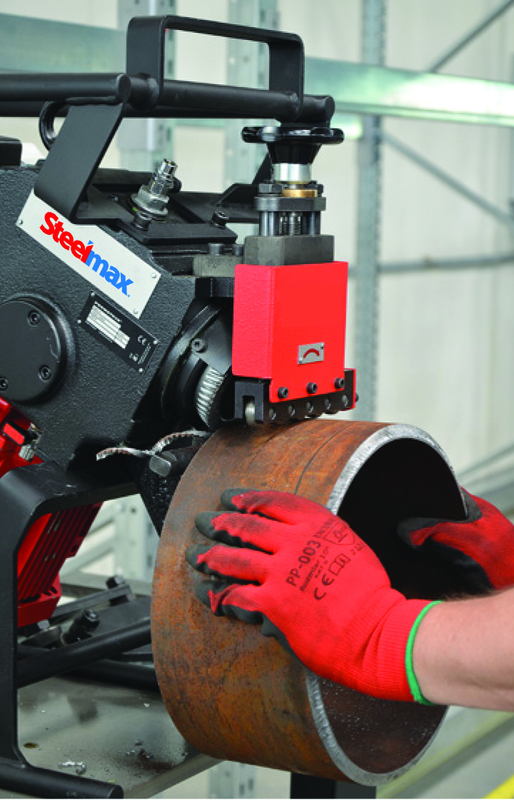 The Steelmax ABM1218 is a portable beveling machine capable of producing weld-ready bevels on flat plates of any shearable material up to 100,000 psi tensile strength. 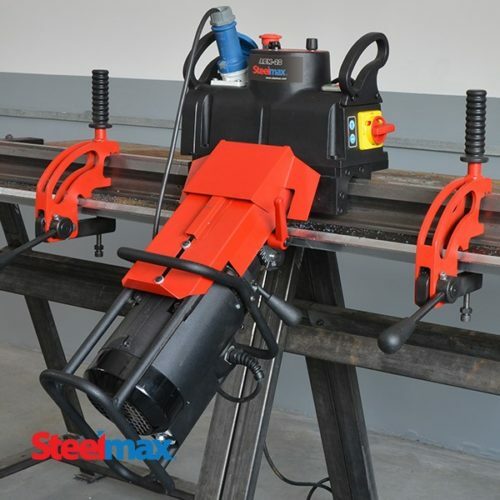 The ABM1218 FR uses a shearing process that is silent and fast. 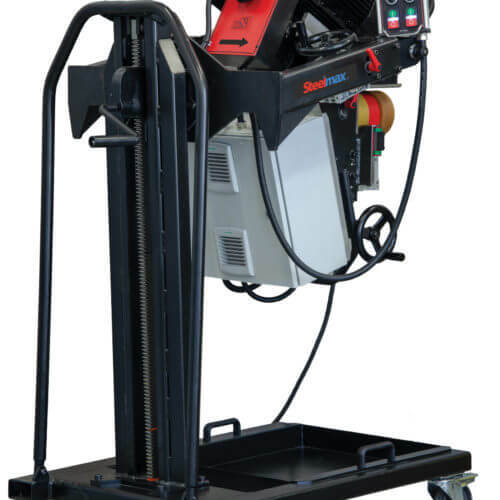 A powerful 3 horsepower electric motor drives the machine at speeds up to 8.5 feet per minute, making it the most powerful machine in its class. 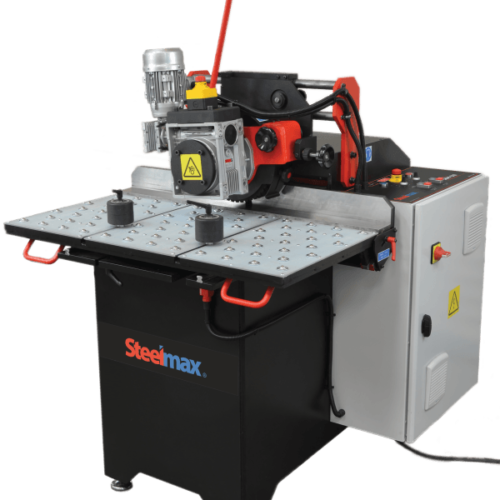 The machine can produce a 1/2” (12 mm) wide bevel in a single pass and can produce a maximum 3/4” (18 mm) wide bevel on plates or round tubes from 1/4” (6 mm) to 1-9/16” (40 mm) thick in multiple passes. 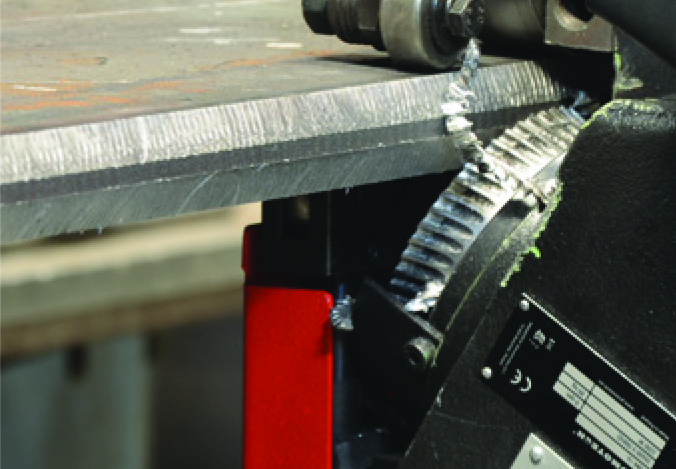 Interchangeable bevel angle attachments are available for 22.5°, 25°, 30°, 35°, 37.5° and 45° bevels. 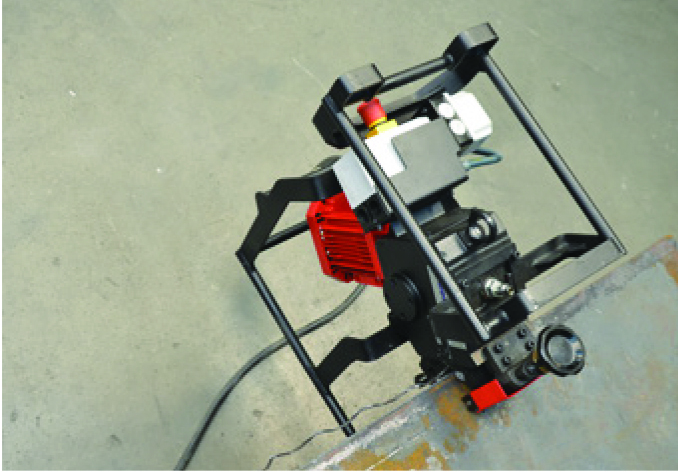 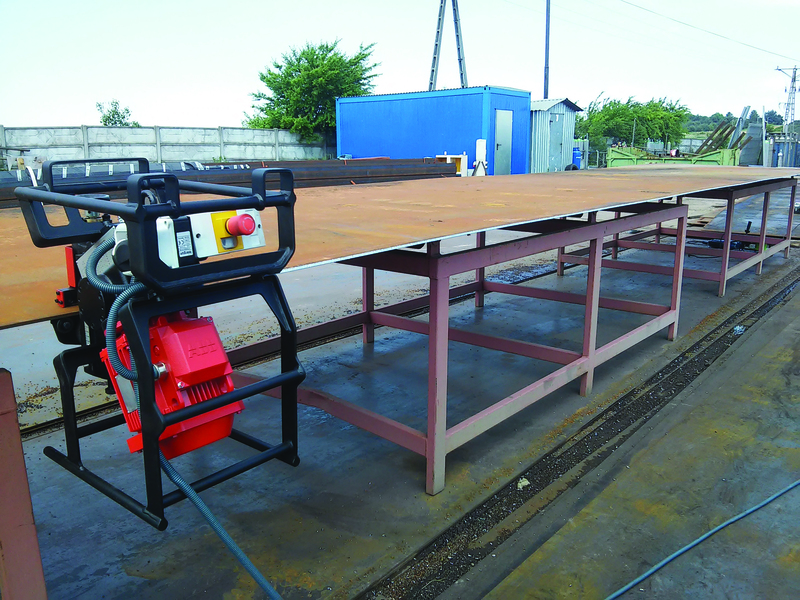 The machine is easily inverted to bevel the underside of the plate – eliminating the need to flip the material – improving operational safety and increasing productivity. 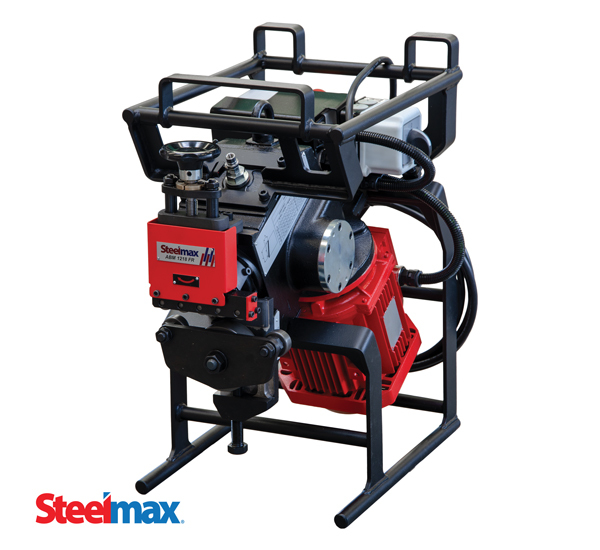 The ABM1218 FR produces no smoke or dust and almost no noise. 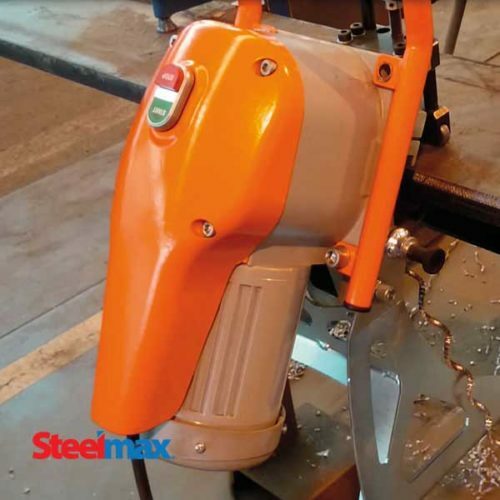 Bevels are produced without thermal distortion and the material is weld-ready without additional grinding to remove dross, slag or heat affected zone (HAZ). 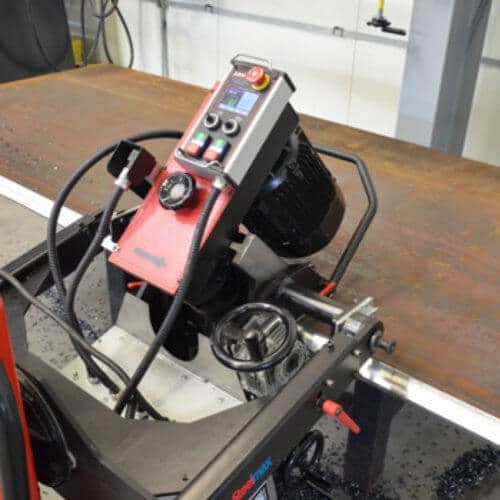 180° inversion allows for quick and easy creation of double-sided bevels – dramatically reducing material handling costs and improving safety. Dramatically reduces material handling costs and improving safety. 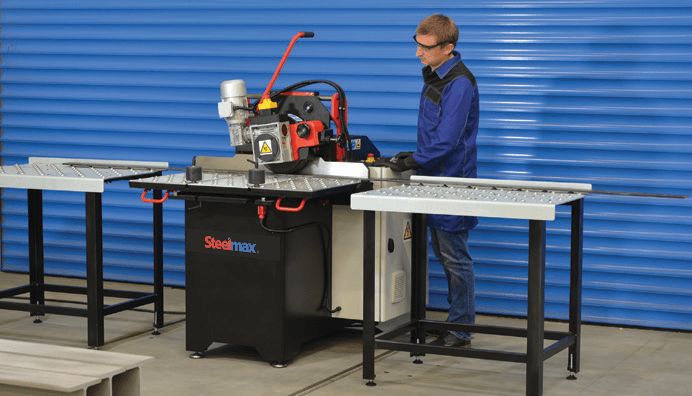 Need expert advice? 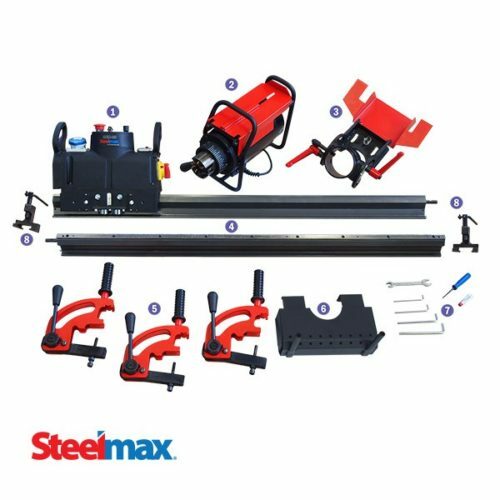 Upload a picture of your application and we'll recommend a product for you.